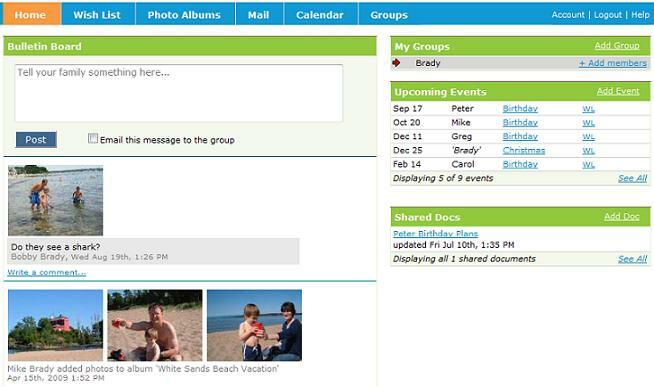 From your family home page, view your bulletin board messages, upcoming events and shared notes. The home page shows an overview of everything going on with your family. See if new pictures have been uploaded by one of your family members. See if there are new comments about a photo. Many of the comments about our photos are pretty funny. Below is an example Tallwish home page.